After months of re-releasing classic SNK fighter and shooters onto modern platforms, retro-loves Hamster's latest release is something completely different, as Stakes Winner hits PS4, Xbox One and Nintendo Switch. Launching in arcades and on the Neo Geo platform in 1995, Saurus' Stakes Winner is an equestrian racer that essentially comes down to meter management and forward thinking. Players pick one from a selection of fine fillies, each with their own stats, before engaging in a series of intense races. 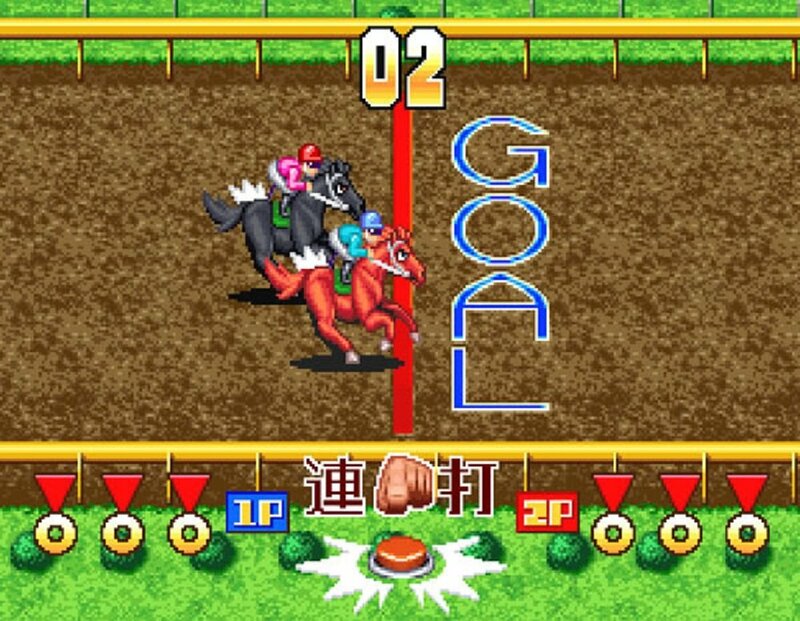 The game's simplistic controls allow jockeys to control their horse with the joystick, using double-taps to pass opponents or reduce speed, while the A and B buttons control acceleration. Tapping A builds moderate speed while slowly draining the stamina meter, while B activates the whip, causing a burst of acceleration at the cost of a huge chunk of stamina. The game is about balance; knowing when to overtake and when to hang back, knowing when to conserve energy and when to expend it, as well as maintaining reasonable control of the pack, until the chaos of the final furlong. It's definitely something else, and its fun music and cutesy sprites add to its unique feel. Of course Stakes Winner is a particularly niche title, certainly not to everyone's taste, but if you fancy something a little bit different, why not hop into the saddle? Stakes Winner is available now on PS4, Xbox One and Nintendo Switch, priced around $8.